We are changing how geoscience is taught in our classes, departments, and regions to increase participation by all students and colleagues. We will promote student success in our classrooms, and increase the number and diversity of professional geoscientists by using best practices. These include teaching strategies that promote student engagement, increase student metacognition, and address implicit and cultural biases. We also are incorporating information about professional pathways and careers into geoscience courses. We will share these ideas with our colleagues, what we are learning about using them, and the materials we are developing for our own courses. During Year 1 (2016), our team offered a regional workshop in November highlighting active learning techniques in the classroom and introducing student metacognition to our Illinois 2YC geoscience colleagues. During Year 2 (2017), our team is putting on a regional workshop in November to our Illinois 2YC geoscience colleagues addressing implicit and cultural bias in the classroom. Additionally, Dave Voorhees has presented a metacognition lecture to his colleagues at Waubonsee Community College and Cheryl Resnick has participated in faculty workshops at Illinois Central College showcasing active learning techniques to her colleagues. Cheryl Resnick is working on a project idea from the Tacoma Change Agents workshop to highlight professional pathways to our 2YC students by creating a "This Is Me" series of posters featuring our 2YC alumni who are working in a geoscience profession. Both faculty are working with Bloom's Taxonomy to evaluate our assessments (exams, assignments, field trips) for higher level learning. In addition, Cheryl Resnick is working with a backwards design approach to improve the structure of the Introduction to Geology class she teaches. During Year 3 (2018) we held a regional workshop in the fall on "Diversity is More Than Ethnicity" attended by fulltime and adjunct faculty from the Illinois area, as well as administrators and non-geoscience faculty from Waubonsee Community College. Presentations and activities focused on implicit bias, inclusive teaching, DACA, stereotype threats, and multicontextural teaching. In addition, we ran a virtual workshop in Spring 2018 on "Science Identity" focused on what it is, its role in increasing diversity, its importance to students, and tools to help students develop it. 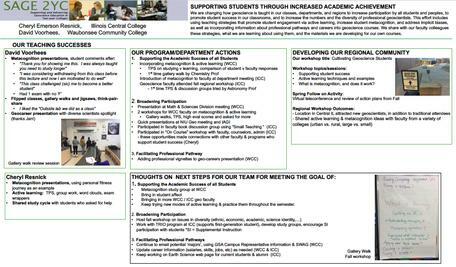 Each Change Agent continued working at both colleges with students and faculty to develop metacognitive strategies & bringing in active learning in classes. We began activities in our classes to promote science identity of our students through student-produced videos (Voorhees). Presentations of our SAGE work was given at various professional conferences (Voorhees). Cheryl Resnick received the Faculty Diversity Award at Illinois Central College for 2018. Our upcoming regional workshop will focus on the last strand of our workshop goals to attract students, retain students, and advise students on future pathways. Our Fall 2018 workshop for faculty will focus on helping to facilitate our students' professional pathways by transferring to a 4YC & into geoscience careers. We will continue to use data to guide our activities and outreach at our colleges to improve overall student success & broadening participation in our geoscience courses. Cheryl proudly continues the long-standing tradition at ICC of teaching an introductory level geology field studies course for non-majors, alternating between the Southwest and the Rocky Mountain region. Cheryl's background as a National Park Service ranger-naturalist at Grand Canyon National Park and in Utah sparked her interest in teaching geology at community colleges. 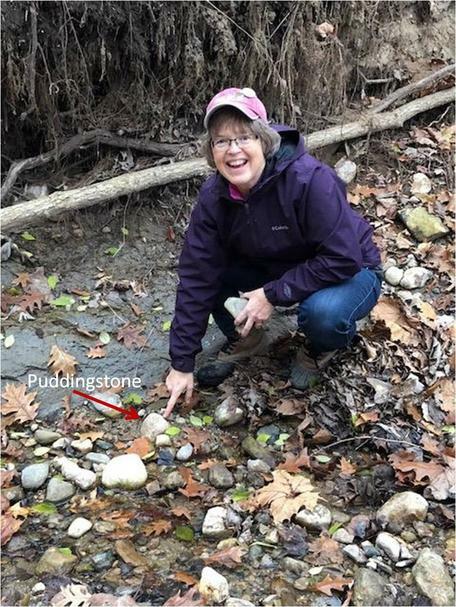 Having taught for 23 years at ICC, she is looking for ways to improve lab instruction for her geology students. Cheryl teaches Physical Geology, Earth System Science, and Geology field study courses (Southwest and Rocky Mountains). 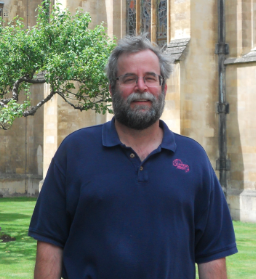 David has been teaching geosciences full time at Waubonsee Community College since 2002. He is passionate about bringing to his students an understanding of the Earth and the geosciences, and experiments with different pedagogies to engage his typical general education student. He is an active advocate for the 2YC geoscience community through participation in many committees and is a past President of the Geo2YC division of NAGT. More information can be found at http://www.waubonsee.edu/faculty/dvoorhees/index.html. David teaches Physical Geology, Historical Geology, Survey of Earth Science (Face-to-face and online), Environmental Geology, Astronomy (Face-to-face and online), and Geology of the National Parks. Institution: Illinois Central College serves about 11,000 students across its four campuses in Peoria, Illinois. Fifty-five percent of students are women and nearly two thirds of all students are part-time. Geoscience program: The geoscience program at Illinois Central College is comprised of three full-time faculty, two with degrees in geology and one with a degree in meteorology. In addition, the program currently has two adjunct faculty. The geoscience program is housed in the Math/Science/Engineering Department. There is a lab coordinator for the entire department with student workers who help maintain lab materials for geoscience, chemistry, biology, physics, and engineering. Since this is the largest department on campus, one of the faculty in each discipline is designated as a teaching chair who is responsible for schedules, class assignments, adjunct evaluations, and textbooks. The geoscience program offers courses in Physical Geology, Meteorology, Earth System Science, and introductory field study courses to the Southwest U.S. and Rocky Mountain regions. In addition, Energy & the Environment is assigned to Physical Sciences, as is Astronomy. The Energy & Environment course is taught by a geoscience colleague so it incorporates many of the Earth Systems Science topic areas. Approximately 400 students enroll in the face-to-face Earth science survey course each year, 25-40 students in Meteorology (online), and 20 students in the field course. Most of the students in these classes are non-majors seeking science credit to transfer or graduate. ICC has 1-5 geology majors each year. Institution: Waubonsee Community College is a two-year college in north-central Illinois with four campuses centered in Sugar Grove. It enrolls about 14,000 students, 56% of whom are women. It is a designated Hispanic Serving Institution with 35% of the students identifying as Hispanic or Latino. Five percent of the students receive services through the office of disability services. Geoscience program: There are 3 full-time geoscience instructors at Waubonsee, each teaching the Survey of Earth Science course as well as courses in their respective specialties of geology, meteorology and geography. In addition, Waubonsee has seven adjunct instructors in the geosciences. The program offers courses in Physical Geology, Historical Geology, Ocean Science, Meteorology, Geography, Earth System Science, Introduction to Climate, GIS, Environmental Geology, and Geology of the National Parks. The geoscience program at Waubonsee Community College is within the Mathematics and Sciences Division. More information about the geoscience program at Waubonsee can be found at the Earth Science program website. Most of the 600 students taking geoscience classes each semester, especially Survey of Earth Science, are general education students who enroll for the physical science requirement for the Associates degree. Of those, typically 3 to 6 are geology 'majors'.